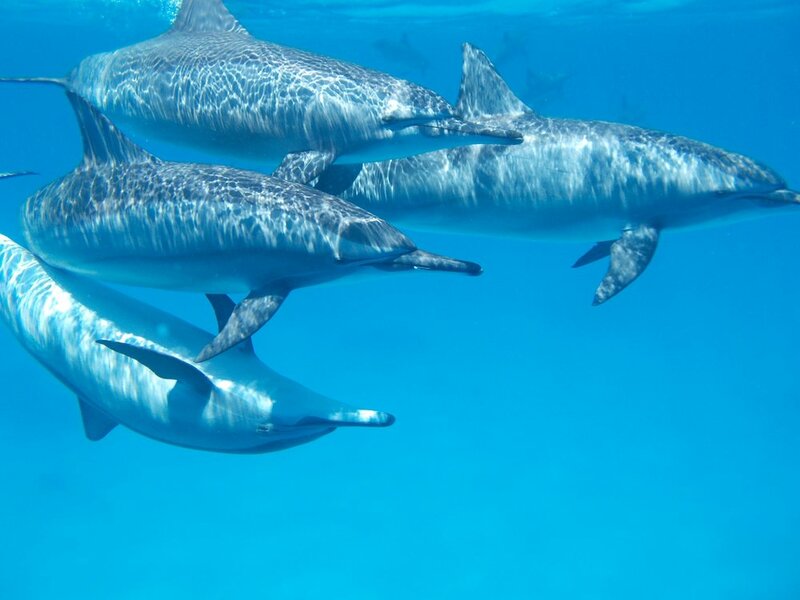 Research continually reveals evidence of anthropomorphic emotion present in cetaceans, a further testament to their remarkably high levels of intelligence. One particularly notable example of orca emotion made the news in August of 2018 when word spread rapidly of a female orca named Tahlequah (or “J35” as referenced by researchers). Tahlequah carried her dead calf across 1000 miles over at least 17 days while in mourning. Her relatives were occasionally spotted assisting her in bearing the calf and are suspected to have helped nourish Tahlequah during her period of grieving. Unfortunately, the dwindling supply of endangered chinook salmon, which the Southern Resident orcas depend on for food, was the likely cause of the calf’s death. Tahlequah was not the first case noted of an orca grieving. In 2010, another killer whale known as L72, accompanied by her 6-year-old son L105, carried her departed newborn in her mouth, attempting to keep the calf at the water’s surface. In a National Geographic article, Robin Baird, who was involved with the study, is quoted: "The animals go through a period where they’re experiencing the same kind of emotions you or I would when a loved one dies." Orcas are not the only cetaceans that mourn the loss of their young. A study published in the Journal of Mammalogy in 2016 revealed mourning behavior in seven different odontocetes (toothed cetacean) species, including Indo-Pacific bottlenose dolphins sperm whales, spinner dolphins, killer whales, Australian humpback dolphins, Risso’s dolphins, and short-finned pilot whales. Just two months after Tahlequah carried her dead offspring last year, Fox 35 Orlando reported that a bottlenose dolphin was spotted nudging her deceased calf for miles in the India River Lagoon. Additionally, that same month, a whale watching agency called Raggy Charters shared on Facebook a sighting of an Indo-Pacific bottlenose supporting a dead calf (read the post here). Most recently, a female bottlenose dolphin was spotted carrying a dead calf on her back on January 29, 2019. Despite dropping the calf frequently, she continued to circle back to retrieve it, according to Otago Daily Times. Grief is just one of many emotions that cetaceans express. Another human-like emotion present in whales and dolphins is that of happiness. A study published in the Journal of Experimental Biology suggests that, based on a repeated trial of fish rewards, the dopamine reward system is active in cetacean brains. The dolphins in the study were interpreted as expressing this pleasure through childlike, gleeful squealing. Several types of whales have the same kind of brain cells as humans and great apes: spindle cells. These cells are credited with allowing us to experience a wide range of emotions, including love, and have a sense of intuition about others, enabling deep social connections. An Independent article reports that whales appear to have had these cells for at least twice as long as humans and could have three times as many spindle cells as us. This begs the question, then, can whales experience love the way humans do? Professor Hof of Mount Sinai School of Medicine New York states that we don’t yet know. A few small steps can make a huge difference to conserve and respect these creatures which are not all that different from us. Increasing education and awareness of these animals and conservation issues, donating to cetacean conservation groups, remaining conscientious of our seafood choices, and avoiding support of aquatic parks housing captive cetaceans are all opportunities we can wisely promote and seek. Finally, be sure to approach whales and dolphins cautiously and strictly observe boating laws to keep a safe distance from these animals (at least 100 yards from whales and 50 yards from dolphins, according to NOAA Fisheries’ marine life viewing guidelines) while appreciating the wonder and beauty that cetaceans bring to the world.